Why are you running for the board? What’s your background and experience in water policy? With 14 candidates running for five seats, what differentiates you from your opponents? What is the greatest issue facing the Central Arizona Project, and how would you address it? Do you support the Lower Basin Drought Contingency Plan, which aims to keep water levels at Lake Mead from dropping to critically low levels? Why or why not? The Lower Basin Drought Contingency Plan will affect some Arizona water users more severely than others when a shortage is declared. What, if anything, can be done to help mitigate its impact on lower-priority water users? The Central Arizona Groundwater Replenishment District, which is governed by CAWCD, wants to purchase land for the water rights in Mohave County. Do you support this move? Why or why not? Disagreements over policy and the conservation district’s power have complicated recent discussions with the Arizona Department of Water Resources and the governor’s office. How do you plan to prevent or work through similar impasses? What is the most overlooked water issue facing Arizona, and what would you do to address it? This candidate has not responded to the survey. Arizona is facing an incredible challenge with persistent drought conditions. Central Arizona Project plays a critical role in meeting this challenge, and I want to continue to put my lifetime of experience and expertise to work in this important effort. I value the opportunity to serve on the CAP Board today, and want to continue to do my best for the people in Maricopa County I am fortunate to represent. Throughout my professional life, I have been engaged in Arizona water policy issues in one manner or another from federal, state, and local perspectives. In addition to serving on the 2001 Governor’s Water Management Committee, and serving as a member of the Arizona Water Banking Authority, I have chaired the CAWCD Central Arizona Groundwater Replenishment District (CAGRD) and Underground Storage Committee. I now serve as the CAWCD Board President, which is the governing board of the Central Arizona Project. I understand the complexities of Arizona water policy and the tremendous history that got us here, and the responsibility to be prepared for the future. I respect anyone willing to offer themselves for elected office, and I have particular admiration for those interested in the Central Arizona Project. I am very proud of my almost 16 years of direct experience on the Board, and as Board President, my first-hand knowledge of the humbling responsibility that comes with leading such an important entity. The serious issues in water management before us demand steady, knowledgeable leadership. I believe that my tenure on the Board represents the consistent, successful decision making that is crucial for our future. The issue of our time is maintaining a sustainable water supply. Persistent drought has resulted in significant declines in Lake Mead, representing a direct threat to Arizona’s economy, as our share of Colorado River water is set for dramatic reduction. Arizona is working diligently with the United States and the other Colorado River Basin States on a Drought Contingency Plan (DCP). Work has already begun looking beyond the DCP to increase supplies of water (augmentation) and take additional actions to address the Structural Deficit in the Lower Basin. As the current President of the CAP governing board, I am engaged in every effort to address these difficult circumstances. CAP has joined with the AZ Dept. of Water Resources and other stakeholders to find workable solutions. I am confident we will and promise my diligence in doing so. Yes. I support a Drought Contingency Plan as part of a multi-state effort to keep Lake Mead from dropping to a level that would trigger drastic reductions to Arizona. There is an opportunity, working in partnership with the other Colorado River Basin states and Mexico, to take steps to protect the system. Every day that passes will make this goal more difficult to achieve. Gratefully, I believe we are on a path to a consensus among stakeholders on this important milestone. A steering committee led by CAP and the AZ Dept. of Water Resources, composed of dozens of water policy leaders from across the State, has been meeting for months to develop a fact-based, workable answer to this question, and we’re making significant progress. I have played an active role in this process as a delegate to the committee, and am confident the group will produce both a solution to help mitigate the effects of reduced supplies from the Colorado River and an implementation plan that is acceptable to Arizona water users. While the CAGRD has evaluated many potential water acquisitions, the Board made a deliberate decision not to purchase the land in Mohave County several months ago. Like most everything else in water policy, this is a complicated issue not easily reduced to one paragraph. The CAGRD must acquire water rights to fulfill its mission and statutory obligations. I support these efforts, and I support discussions with landowners, local leaders, and other stakeholders as we reason together to balance the interests of all Arizonans while creating sustainable water policy for our State. Disagreements over policy are a normal and healthy part of self-governance. Our history in Arizona is one of coming together to resolve water issues that continually confront a state as geographically diverse as ours. Resolution of differences and the determination to work through differences to create solutions for the greater good, as we are seeing now, strengthen relationships for the long term. CAP, the AZ Department of Water Resources, the Governor and the Legislature are cooperating diligently on the challenges before us, and I believe that will continue. One of the things Arizona has done very well over the decades is create forward-looking water policies that benefit us today. In our current drive to complete the Drought Contingency Plan, we have prioritized certain specific water-related issues over others, as we should, but I don’t think we’ve overlooked anything of importance. We will come back to other issues once DCP is completed. Re-consultation among the Basin States on the 2007 Guidelines will commence in 2020 and, within Arizona, we have more work to do on groundwater issues and addressing the Structural Deficit. One thing is certain, Arizona must continue to act with sober diligence as we continue to grow in our desert environment. I believe that quality water policy is crucial for Arizona's future. Successful stewardship of our Central Arizona Project for its second 50 years is of paramount importance. Our communities will face a water shortage in the future and we must be prepared. Having not successfully agreed to a drought contingency plan in a timely manner has created disharmony and friction between the State and the Board. The level of Lake Mead must be addressed by the many stakeholders so that CAP can be run at utmost efficiency. As the state's largest electrical customer, when Navajo Generating Station goes offline, a full replacement must occur with a clean, sustainable source. Finally, the Board and staff should also be dedicated to transparent and consistent communication with CAP users. I strongly believe that inorder to accomplish these needs, an independent, problem solving Board must advocate and be willing to compromise when necessary. I am willing and able to serve in this capacity. I am not an experienced water professional. For the past 5 years I have dedicated a great deal of time and resource to a major project relating to the history of Hoover Dam which has led to studying Lake Mead, the Colorado River watershed, and Central Arizona Project. Knowing Arizona History is knowing water issues. My entire work life at Phoenix Art Museum involved working with a strong Board and creating community based planning. Our close relationship with the City of Phoenix led me to negotiation and collaboration with government agencies. Having no direct water affiliation, my strength is as an independent listener, convener, and compromiser, characteristics that will be valuable as the CAP Board faces drought contingency planning, energy negotiations, intergovernmental discussions, and community educational outreach regarding water conservation and availability. I am passionate about the future of our state. Having always been involved with community building, I have chosen to continue giving back following my retirement from Phoenix Art Museum. I also believe that having a Board member with in-depth historical knowledge of our State and it's culture is an important touchstone. Finalizing the Lower Basin Drought Contingency Plan is the "elephant in the room." The Commissioner of the Bureau of Reclamation has applied great pressure to resolve this 7 year agreement for Arizona. A reduction of CAP water has direct impact on municipal water for Maricopa/Pima counties as well as Central Arizona agriculture and tribal nations' use. At present parties seem to continue posturing while the clock is running out. We need creative, independent collaborators, and compromisers. That is the reason I am running. Decisions must be made while hearing all voices; but all parties must understand compromise is the required solution. The biggest block may be between ADWR and CAWCD. One represents the entire state and the other three service counties. We must be aware of the political clout California has if Arizona's position is not solidified. I have accomplished ground rules with disparate stakeholders in the past and would be pleased to assist in this challenge. Yes, critical water levels at Lake Mead will trigger water cutbacks for CAP. Successful conservation over the years in Maricopa County and water banked for the future is the result of strong planning. The agricultural users have continually gained efficiency. Thus the water that became "surplus" to the CAP allotment was stored underground. ADWR adopted a different approach, desiring to leave as much water as possible in Lake Mead. Neither approach is unreasonable thus our impasse. I believe with truly engaged cooperation a "middle passage" can be created, maintaining our conservation responsibility while Lake Mead does not drop as fast. That spirit has led to a Save Lake Mead effort. Vital too is the shifting Indian nation policy. We can be aided by CA and perhaps Upper Basin states. Efficiency concepts in the system could maximize efforts. I do not pretend to have all the answers as a candidate, but dedicating time and new perspective can help create a finalized plan. The adopted plan should require all stakeholders to give a little. Priorities must be set with the highest being subsistence water for all citizens and to a degree, their comfort. There will be friction between urban and rural users. Agriculture is an important part of AZ economy. Over time AZ has seen crops change with water availability. Planning will be crucial to assisting future change. Perhaps tax incentives can be explored to encourage less water dependant agricultural products. Similar encouragement could be offered for infrastructure updating and new technologies. Although not a direct responsibility of CAWCD but working with ADWR and legislature should be responsibility of all for unified plan. Communication is vital. If and when a shortage is declared a two prong plan will be necessary - internal to AZ and external nationally and internationally. If transparency is not considered, an even larger challenge to our economy will ensue. New to this discussion, I would need more information regarding future purchase of Mohave County land for water rights. The initial plan was scuttled by the CAP board. Based on what I read, I would have agreed. AZ has a long, creative history in addressing the complications of water policy and accessibility which has been a model for others. Our water bank system and "wheeling program" with CAP are but two examples. Long term, I would not commit to opposing all land purchases; however, I think a leasing approach or fallowing program shorter term may make more sense. How the water is moved or what kind of trade offs might work on specific parcels and could be acceptable. It is unsettling that national real estate entities are acquiring AZ land for hedging water rights. Spot market purchasing might be alright in theory if it is truly a competitive market. With fiduciary responsibility of CAP board to 3 counties, policy should consider sustainability for the entire state. Disagreement resolution begins with trying your best to understand the issue from each point of view. Each party believes their remedy is the best course. Regarding recent drought contingency planning the governor's office believes that full responsibility should be seated there with direction to ADWR and CAWCD. Management of CAP was instituted by the federal government as a stand alone municipal corporation. Water sustainability, accessibility, and quality has always been and will remain a very complex issue for an arid state like AZ. Because of this situation, and because a bad decision made in the future could have devastating results I think water decisions are better, and lower risk, if more people are involved creating a slower more thoughtful route forward. Using this lesson as a CAWCD board member I would always encouraging such dialogue making sure the board understands the position of the Governor, the administration, the tribal councils, and the CAP stand. What is overlooked is the communication necessary if and when a water shortage is declared. CAWCD can take a leadership role to broadly educate three counties, statewide and tribal stakeholders. My Phoenix Art Museum career taught me to always reach out to audiences for improving our community. I am well versed in crisis management thus my concern for this challenge. It can be handled proactively. A full understanding of water needs, history, key challenges, and possible future actions can make difficult information less shocking.The CAWCD board and staff should now be developing a national communication plan for cutbacks. This moment should it come will garner headlines across the nation potentially harming our state's economic development, tourism, quality of life, and reputation. As the saying goes, "water touches everything." Messaging at that moment must be thoughtful, factual, and clear describing a slightly reduced water supply and its effect. Family Wife: Debra Dulaney, retired R.N. Our two children are grown with their own careers and spouses. Education M.S. Hydrogeology, Northern Arizona University; B.S. Geology, Northern Arizona University; M.A. Archaeology, University of Texas at Austin. Work history City of Peoria, 2007 to present. Arizona Department of Water Resources, 1998-2007. Arizona Department of Environmental Quality, 1989-1998. Expertise counts. Trained as a hydrogeologist, Alan Dulaney (that's me) has been the Water Policy Administrator for the City of Peoria for over a decade. I will bring to the CAWCD Board of Directors the technical, regulatory, and customer viewpoint that the Board so badly needs. CAWCD operates the Central Arizona Project canal, itself the result of a century of effort by Arizona leaders to bring Colorado River water to Maricopa County and beyond. The CAP canal has been an economic driver for the state. But looming over the Colorado River is the possibility of a declared shortage as early as 2020. Expertise in water matters will be required to steer CAP through the coming years. This is why I am running for the Board, and why you should vote for me (Alan Dulaney) on November 6—to bring serious water expertise to decision-making at the Central Arizona Project. Save the water, save the state! As Water Policy Administrator since 2007, I provide regulatory and hydrogeological expertise for Peoria. Based on extensive knowledge of ADWR statutes and rules, I successfully prepared the application for Peoria’s Designation of Assured Water Supply. I withdrew the City from the Central Arizona Groundwater Replenishment District (Peoria is the only city to have ever withdrawn), due to our success at recharge. I handled all applications of City’s permits and Annual Reports to ADWR, and updates for SRP’s Water Delivery and Use Agreement. I secured 1.5+ million kilowatt-hours of usage in the Federal re-allocation of hydroelectrical power from Hoover Dam. Prior to Peoria, working 9 years at ADWR gave me familiarity their most important programs (Assured Water Supply, recharge, wells). Prior to ADWR, I worked 9 years at ADEQ as a supervisor and hydrogeologist, gaining valuable experience in water quality issues. I am a past President of the Arizona Hydrological Society. The foundation of expertise is knowledge, gained from education and experience. The pool of my knowledge of water issues runs deep. My experience with wells, recharge and the Assured Water Supply programs at ADWR mean that I know what municipal sub-contractors want. My years with Peoria mean that I understand what the customers think of CAP and the relevance of the Customer Service Task Force. I have attended CAWCD Board meetings since 2007. I know what the issues are, I know how the Board operates, I know the CAP staff. I can hit the ground running, and be active on the Board from the first day. Other candidates do not have this depth of knowledge, and will not be functional for months, perhaps years. Nor will they ever have the technical and policy experience that I bring to the position. I won’t be the first, but I will be one of the few, customers to join the Board, and bring the customer point of view to decision-making. The Big Issue is the coming shortage on the Colorado River. Water levels are dropping in Lake Mead, and may fall below 1,075 feet elevation. This trigger level will cause a declared shortage on the River, probably in 2020. Arizona will then face cuts in the amount of water flowing down the CAP canal. Farmers will feel the pain first, as irrigation water is cut back. With further drops in Lake Mead water levels, cities and tribes will face cuts in deliveries as early as 2023. The best regional solution to emerge has been the Drought Contingency Plan. While California and Nevada are ready to sign on, Arizona still has not reached an internal consensus. This issue absolutely must be wrapped up before 2019. Bureau of Reclamation has said that if Arizona doesn’t participate in the Drought Contingency Plan, Arizona will be left to its own devices to deal with shortages. That is a serious threat. Those experienced in water policy (like me) are aware of the need to focus on shortage. Now. The Lower Basin Drought Contingency Plan (LBDCP) is the last best hope for stabilizing water level elevations on Lake Mead, so that Arizona doesn’t get hit with further damaging cuts in CAP deliveries as water levels fall below pre-set trigger elevations. As it is now, farmers will feel the pain first, with cities shorted as levels continue to drop. Under LBDCP, Arizona will take harsher cuts sooner. But Lake Mead will stabilize, and the Colorado River system will not crash. That is the goal, to prevent the system from crashing, because that would be devastating for Arizona and Maricopa County. ADWR and CAWCD are working together to build a consensus supporting LBDCP, so that Arizona can join California and Nevada in the regional effort to preserve the River. There isn’t anything better in sight. Without it, with a collapse in the system, there is a remote but real possibility that the CAP canal could go dry in a few years. Arizona simply cannot afford that level of risk. Under LBDCP, Pinal County agriculture will face an abrupt loss of CAP irrigation water. While they still have major groundwater supplies, farmers seek full mitigation to cover the shortfall. Solutions have been identified. CAWCD could send 50,000 acre-feet of Lake Pleasant water to Pinal County. Cities and tribes could voluntarily reduce water use. Additional methods could include compensated forbearance activities, imported groundwater, short-term leasing of high priority water, and well development. All of this will cost someone (like Maricopa County) money and water. But full or partial mitigation does not change the fact that demands will not be satisfied and life will not be the same. Stabilization is not the same as stasis. Demand must be reduced somewhere, substantially, soon. The Federal government can print money to address a financial deficit, but not so for the structural deficit on the Colorado River. You can’t print water. And you can’t spend water you don’t have. 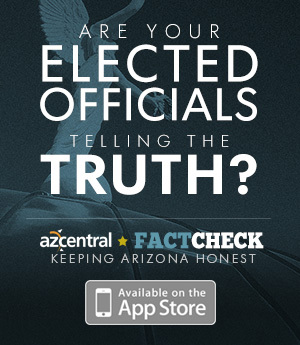 Nothing sets rural Arizonans’ teeth on edge quicker than a water grab from Maricopa County. In a deal with the Mohave Valley Irrigation and Drainage District, CAWCD was set to purchase land within the District (using money from Maricopa County taxpayers), in order to take the water rights and move the water through the CAP system for use by CAGRD. Howls of protest arose as Mohave County saw its potential for growth threatened. The deal was not approved in the end, but it came close. The proposal cast CAWCD in a bad light, despite the desperate need of CAGRD to find more water. Rural Arizona needs to develop as Central Arizona has done, and adequate water supplies remain essential for economic growth. CAWCD cannot be seen as the Water Knife of Arizona, slicing away supplies from less powerful counties. The Board must set policies that will not bring disrepute to CAWCD. If additional supplies are found, the deal cannot ignore the concerns of the people from whence the water will come. Don’t poke the bear. When the Governor’s Water Discussions convened in 2017, it was in the context of the feud that had erupted between ADWR and CAWCD over who claimed what perogatives. The Governor’s staff intended to exercise considerable control over CAWCD and its claims to authority over Colorado River issues. Once they saw the direction being taken, CAWCD staff quietly began a lobbying campaign with key legislators that eventually cast key points as governance issues. The Governor’s Water Discussions should have been a forum to diplomatically resolve the conflict between CAWCD and ADWR, but it wasn’t. This animosity lies just under the surface. Resolution is seen as necessary by water resources professionals—including me. CAWCD and ADWR must recognize that each does certain things very well, and allow the other entity to do those things. Both must participate in Colorado River policy issues, where both are strong. Shortage is the concern here, not who is running the state. The 1980 Groundwater Management Act set controls on water only for the counties of Maricopa, Pinal, and Pima. This law made the CAP canal possible. Rural Arizona did not want to be included in the regulatory setup, and they weren’t. Groundwater pumping remains uncontrolled outside of the major Active Management Areas. Now, areas of several rural counties are seeing significant water level declines in wells. Groundwater is being mined, and it isn’t coming back. Without water, economic development will not happen. Mohave, La Paz, and Cochise Counties carry the greatest risk, and serious suggestions have come from Cochise County to extend the CAP canal east from Tucson. Groundwater depletion is the biggest issue for rural Arizona—but the CAWCD Board cannot do anything about it. The solutions must arise from county residents themselves, and work upwards from the people to the Legislature. Education U of A (BA) Thunderbird (MBA) U of Iowa (MA) ASU Doctoral Studies (All but Dissertation) Harvard- Leadership Program Yale- Women's Campaign School Graduate and Board Member AMPAC- Graduate, Washington D.C. Previous public office Nominated to AZ Senate from LD13 Previous Candidate for City Council in Litchfield Park. I am running to preserve and protect Arizona's Water rights, keep water rates low, improve water quality and sustainability for the future from Maricopa County. It is also important to elect individuals from different locations in Maricopa County. I am from the West Valley and it is essential to our Agricultural base, farmers, ranchers, Palo Verde Nuclear Power Plant, residents, schools and businesses to have conservative individuals overseeing the number one issue for all Arizonans. We cannot allow California policies in Arizona. This is critical to protecting our future and the number one issue facing our state. I have studied policy and water issues. I have an MBA and a strong business background. I understand Arizona's water issues, laws and policies. I have worked on projects concerning water issues in 3rd world countries and how to improve quality access to water inexpensively in these countries. I do not want to see Arizona become like California with failed policies that do not work and put our current water supply in question by adopting bad policies and I certainly do not want to see higher costs for water. I recently negotiated the redesign of our City Lake in Litchfield Park. I am a trained economist and understand due to our growing population, we must protect our water supply and plan accordingly for the future. I also bring a Medical/ Healthcare background to improving our water quality. These are key issues to future sustainability for Arizona. I am running to be a voice from the the West Valley and Maricopa County. I am a leader and member of Leadership West. I understand the unique needs of the West Valley for water as well as Maricopa County. I have a strong education and background in business, MBA and I have studied law, leadership at Harvard and Politics at Yale. For over 17 years I have been in the Medical/Health field as the owner and manager of a Medical Practice. I am a graduate of The American Medical Association Candidate and Campaign School in Washington D.C. I will also be looking at Water quality issues as this greatly impacts everyone's health. I will strive to improve sustainability for the incredible Central Arizona Project's system. Our growth and population is the greatest issue facing the Central Arizona Project. Planning and Preparing for future needs to meet the demands of our State, while not sacrificing our supply to other States is key. We need to help other States find solutions to their own problems. We need people who will put Arizona first and stand up to encroachment on our water rights. We have been in a drought for 19 years plus. Lake Powell and Lake Mead continue to drop to lower and alarming levels. We definitely need a Lower Basin Drought Contingency Plan to protect our Lake Mead and Lake Powell. We cannot afford to have more water removed than is being replaced. This will result in a highly problematic situation over the years if we allow this situation to continue without proper remedies and planning. We need to allow for using what is referred to as gray water for those things that we can. Looking at water supply issues, water quality issues as well as working with the Cities and future construction by developers to allow different sources of different categories of water. The CAWCD Board consists of those elected from Maricopa County, Pima County and Pinal County. Mohave County is not represented on the CAWCD Board. I have no current opinion on this issue as it does not concern Maricopa County. I will be elected to represent Maricopa County. As a new member of the CAWCD, I will be learning and listening to all information regarding conservation district's role, including relevant issues from the Arizona Dept. of Water Resources and the Governor's office to help find solutions. I believe we need to be good stewards of this amazing CAWCD Board and work to represent Maricopa County and solve problems. Conservation is the most overlooked water issue. We need to look at solutions found in other places. Texas has begun a water pipeline and some places have water silos. We need to realize that water will always be the number one most important issue in our State. Water is our most precious economic resource. It requires individuals who will stand up for what is right for the Central Arizona Project by representing Maricopa County well by protecting our water and water rights. I am running for reelection to the CAP Board to continue the move toward greater power diversification and use of renewable energy (away from coal generation), opposing water transfers from rural Arizona and seeking ways to reduce the water demands by new development in the 3 counties served by the Project. I believe that my public service experience, gained over several decades, gives me a unique historical perspective on Arizona water issues which is valuable in making water policy decisions. As a lawyer in private practice, Mayor of Phoenix and member of the CAP Board for 8 years, I have significant experience in the legal and practical aspects of Arizona water policy. Experience in water matters both on the CAP Board and in other public positions. I have worked in local, state and federal public positions giving me an appreciation, almost unique among this field of candidates, of the various factors influencing water policy and a long term, historical perspective on water policy and the various twists and turns that Arizona has taken in securing and using its water resources since the passage of the Act in 1968. I am the only candidate who was fortunate to be present during many of the early Congressional hearings and negotiations leading to the the passage of the Act, wrote my college thesis on the history of the Project, for which I interviewed many of the most significant players in the long saga leading to the CAP, and who has worked through over three decades of public office to implement and at times to modify Arizona water statutes. Drought. The DCP is only the first step in dealing with a new water reality. The the basic planning for shortage has been done and done well. Most Arizona citizens will not suffer a shortage of water in the foreseeable future. However, the problem will be both how the Arizona population and the out of state investors will react when the Secretary first declares a shortage on the River forcing Arizona to take the first hit of over 300,000 acre feet and the economic, the development and the water conservation steps that will follow that announcement. While there is no reason to panic, we are none the less faced with a water crisis. We will need to reevaluate relations between the Basin states, within the state among major water users and marketers and even the legal basis of many water rights. The age of unlimited water for industry, development and agriculture is clearly over. Major state water interests will need to work more cooperatively. I support the concept of DCP, however there is no final plan yet to support or oppose. The CAP has been the leader and major water contributor to the "Maintain Lake Mead" effort. Most of the reason for a DCP is to put into concrete terms what the CAP has been doing single-handedly. However, these efforts and the DCP are just postponing the inevitable and providing for a smoother landing. Let us use the extra time profitably to be ready for the declaration when it comes in 2019 or 2020. The shortage is no surprise to any of the water users who are customers of the CAP. The respective rights have been worked out carefully over decades and economic adjustments have been made accordingly, long before there was even a draft DCP. While the Project has worked with agriculture to be sure that they have access to Project water as long as possible, all parties recognize that many low priority interests (non-Indian ag) will not survive even the first Tier Shortage. No. I do not believe that the Project should own land in non Project counties at any price. CAP is a water management enterprise, not a territory acquirer. The threat to the economy of rural Arizona, not just Mohave County, is both symbolic and real. The Central Arizona counties cannot buy their way out of a flawed legislative program at the expense of the future of other parts of the state. Water speculation is one of the most venal investments imaginable and must not be encouraged. Honest discussion would help, something that DWR and the Governor have not been willing to do since they embarked on a concerted effort to strip the CAWCD of its legal rights. Those rights are not subject to administrative or legislative adjustment without the CAP Board's consent. However, through misstatements and an overtly hostile legislative agenda, DWR has made discussion of common interests almost impossible. I intend to continue to work with legislative leaders, the major water users and the Governor's Office, if they will come to the table, to find a jointly benefiting way to resolve the issues created by shortage. That is the way Arizona came together to start the Salt River Project in the early 1900s, to pass the CAP in the mid 1900s. Now that we are well into the next century of water management, a similar approach with the various water interests working together, not to overrun each other but to work out genuinely viable solutions, remains the best approach. Rising temperatures. The heat island factor has greatly increased the demand for electric power and water. Wholesale destruction of desert ground cover, vast areas of heat absorbing materials and over dependence on personal vehicles have created an unsustainable pattern in our state. Virtually independent of global conditions, Central Arizona has created its own climate change. While the CAP has no power over the public agencies responsible for this situation, the Project has a responsibility to see that the water resources it provides are used as responsibly as possible. Water conservation by individuals and industry is only part of our advocacy role. The Project should also advocate for heat reduction technologies and more responsible development plans. Agreements made with respect to Colorado River water have not always benefited the residents of Arizona. Atmospheric conditions, farming and increased population have combined to put Lake Mead at low levels which will soon result in shortages that directly affecting our state. The problem has grown beyond a political fix it requires a science based approach that looks at short term conservation with longer term supply enhancement. I intend to use my engineering background to approach this problem in a comprehensive manner. Broadening supply, augmented reclamation and conservation must be included in any real solution. There are many diverse stakeholders who must be listened to rather than ignored. I feel that when people are included in the process the results are improved. The best solutions require buy in. My intention is to listen first and apply the science accordingly. I have studied and spoken about water policy extensively. Land ownership, first use and common law interests form the basis of water rights. Appropriation and allotment among users is the political problem, it is not a substitute for sound engineering. Hopefully my background allows a merging of the skills necessary to improve water policy. My background is diverse. I have served on boards, owned a company, worked in advanced technology, hosted a radio show and chaired a political party. I read everything with the motto that learning is a lifetime endeavor and failure is not an option. Success requires working with others which is something I appreciate. The Tier 1 water shortage is the greatest short term problem. A longer term problem is the politics of the lower basin vs. upper basin states. I would start by addressing the DCP and ground water assessment then improving basin hydrology. The longer term political problems require trust and communications among the seven states members. In general but the priority allocations need some modification. I don't like the large Arizona contributor assignments without increased collaboration efforts with other lower basin states. It is clear that the DCP will not keep us out of a Tier 1 shortage declaration. A long term solution requires a non-political approach. That's why engineers are needed on the CAP board. I don't believe that agricultural users should receive severely reduced allocations without ground water accretion and buildup of local water banking. It is critical to use supplemental water basins and banking. Agriculture is an economic engine that must be protected. Arizona is a dry state that relies on a multi-faceted approach. The land purchase would allow the cyclical use and fallowing of farm land and subsequent water replenishment. Lease backs would offset the purchase price and later be recovered upon resale. The initial cost is a concern but I am in favor of this idea as a part of a comprehensive plan even though effectiveness is second order. As mentioned, politics complicates the solution. It's perfectly acceptable for residents and business to approach their elected representatives and lobby for their interests. Arizona's economy is reliant on water so elected representatives must consider the consequences of implementing bad water policy. When one state agency is fighting with another focus is lost. I am not part of either party. My interest is in solutions for all Arizona residents while respecting the rights of each individual. As such, I can work with the governor's office or other agencies on solutions. It's not about who is in charge, rather it's about smart choices. The bifurcated policy of surface and ground water can lead to an overestimation of available water. Pumping ground water at higher rates effects surface reliability and thereby recharge. Combine this with population growth and without properly introducing new supply for a potentially significant problem. Water is not scarce; its physical distribution is uneven. If you lived within the Great Lakes basin the issue is not supply rather environmental quality. A sustainable water plan for Arizona must include recharge via new sources. These sources should include harvesting and transport from areas of surplus. Since I took office in 2012, I have increased transparency and public participation. I chaired the task force that created the Protect Lake Mead campaign which was specifically tailored to each of our stakeholder groups, including some who have been traditionally underserved. I have fought to put climate change on the agenda and to push for sustainable policies. As a result, I was asked to lead the energy task force to determine how to meet CAP’s future energy needs. I have diversified our energy sources and I am proud to say that CAP signed a contract for some of the most affordable solar energy in the country. But there is a lot more to do! In order for Arizona to flourish, our water supply must remain safe, secure and reliable. The only way to accomplish this is through smart management, conservation, and aggressive innovation. We need to keep forward-thinking leaders on the Board as we are facing unique challenges with the extended drought on the Colorado River. I am an attorney with a background in water law and policy. I represented clients before the CAWCD prior to my run for office and have worked on complex water policy issues in a professional capacity. I have also served on the Phoenix Environmental Quality Commission and was a Board member with the Arizona League of Conservation Voters. During my 5.5 years as a member of the CAWCD Board, I have served on the public policy and Central Arizona Groundwater Replenishment District (“CAGRD”) committees. I have also served on several task forces and chaired two of them. Additionally, I was part of a federal task force dealing with water and environmental issues specific to Arizona. I was elected on a platform of increased transparency, energy diversification, and smart water management and conservation. I’m proud to say that in those six years, I’ve delivered. We now broadcast all meetings to the public via the internet, we’ve established a diversified energy portfolio including national leading low-cost solar and created public-facing messaging around water conservation. In addition, I have a proven ability to work with a diverse set of stakeholders, both inside and outside the CAWCD and the water community. The job of a Board member demands delicacy and expertise: CAWCD is expected to meet all of these responsibilities while also remaining agile enough to answer the unforeseen challenges that await us in the future. I am running for re-election because I have demonstrated that I can succeed on the Board and intend to continue to rise to those challenges. CAP faces significant challenges from drought, shortage and climate change. All of those challenges are being made more acute by the needs of the Central Arizona Groundwater Replenishment District (CAGRD). CAP was tasked with administering the CAGRD decades ago during a time of excess water, but there really isn't such a thing as "excess water" anymore. The CAGRD needs to be carefully managed to prevent overstressing the system. At its inception, the legislature failed to identify any sort of effective mechanism to move members out of the CAGRD, and CAP has no legal way to turn down applications to join the CAGRD which meet the requirements. As the CAGRD’s membership grows, so do its water needs. We need legislative fixes so that we can operate the CAGRD in a manner that honors its existing obligations but does not overstress an already limited supply. We also need to better educate potential homeowners to promote efficiency for those living within CAGRD. Yes. The Drought Contingency Plan ("DCP") is necessary and I hope that it achieves a balance of the interests in the water community, both within Arizona and outside. We all have to do more with less and I hope that we can achieve a final DCP implementation that encourages stakeholders (agriculture, municipalities, industries and the environment – we need to leave a cut for the River) to collaborate, to conserve and to innovate. That said, DCP is ultimately a band-aid. It cannot be our last or only solution to address the water shortages in Arizona and the southwest. The Colorado River is over-drafted and has diminished flow which is being made worse by climate change. I think that the best outcome for DCP is to start a larger conversation about how we can better preserve and protect the River while also serving the needs of our customers. I truly believe that if we work together, openly and honestly, we can come up with long-term solutions that account for all of this. Even before the DCP talks started, CAWCD was heavily invested in farm-fallowing research, innovative water banking and other similar programs. Much of this experience has helped us to create programs specifically tailored to meet the needs of all of our stakeholder groups, and especially those groups who will be hit first and hardest. For example, we are working with our agricultural communities to promote more efficient and innovative uses of water. In addition, we are working with our municipal partners to help promote conservation messaging and to give advance notice regarding rates. We also need to listen to our stakeholders, customers and fellow agencies. Many of the best ideas come from collaboration, and while we have created and implemented successful programs, we should always look for new opportunities. There is opportunity in every challenge if you look for it. I did not support the Mohave County deal, though I understand the need to explore this option. I serve on the CAGRD committee and I know the Arizona Department of Water Resources’ (“ADWR”) directive that the CAGRD needs to acquire more water rights and fewer long-term storage credits in order to meet future demand. If the CAGRD fails to do this, ADWR may not approve its future plans of operations. As a result, CAGRD staff negotiated a potential transaction with a private property owner willing to sell land and water rights located in Mohave County. The community did not welcome the deal and I had major concerns about the transaction. First, we lacked a true understanding of the pricing model. Second, we have not had the sort of policy conversations that need to take place before we start moving water from a more rural area to a more urban one. Third, we need to deal with the legislative reforms necessary to sustain the CAGRD before we undertake a novel and risky transaction. I am gravely concerned about this conflict. For years we promoted the idea that all of Arizona’s water agencies spoke with one voice as “Team Arizona.” It was heartbreaking to see that unity crumble and to have water policy become a political football. Personally, I have used this experience as an opportunity to take stock and to review my role as a Board member. I asked to be appointed to the CAWCD’s Customer Service task force to see how we could better listen to, interact and work with our stakeholders and fellow policymakers. I am heartened by our progress and will continue to push for greater transparency. I am hopeful that we have all learned and grown from this experience. CAP is celebrating the 50th Anniversary of the Colorado River Basin Project Act. We stand on the shoulders of visionaries who fought hard to get us here. They put their differences aside and with that example in mind, we should remember that when we all come together, we can accomplish great things. We need to increase our recovery planning efforts. Arizona has led the nation in innovative water banking and storage techniques. We have spent millions of dollars to store water underground for use in times of shortage. However, we have not spent enough time working on how to recover this water. While there have been experimental recovery well programs, research in this area has lagged behind storage capacity. In short, we simply do not have the expertise or equipment in place to withdraw large quantities of banked water in a manner that is safe, effective, efficient, and affordable. As we face drought, shortage and climate change, recovery planning needs to come to the forefront. Work history My experience has included gubernatorial appointment to public office, oversight of a state agency, coordination with state and federal agencies and widely diverse stakeholder groups, analyzing and crafting policy, budget management, supervision of personnel, teambuilding at the local, state, regional and national levels; leading and participating in planning and implementation teams, writing strategic and implementation plans from the local to the international level, administering a granting program, coordinating state-wide conservation programs in both the public and private sectors, conceiving and facilitating workshops and collecting and interpreting laboratory and field data. Working within the structure of a state agency and in close coordination with partner organizations, contracting for federal agencies, holding public office and coordinating a riparian conservation program for a non-profit organization have made me well-versed in the roles and responsibilities of local, state and federal governmental bodies and non-governmental organizations. By functioning at a high level of responsibility in numerous roles and organizations, I have proven my ability to build motivation and confidence in those around me. This election is taking place during a crucial moment for Arizona’s water future. As stakeholders struggle to negotiate a Drought Contingency Plan to stave off cuts to Arizona’s allocation of Colorado River water, prolonged drought and rising temperatures continue to lessen the already overburdened supply. The CAWCD is obligated to deliver Colorado River water to the district. This includes wise planning, conservation, honoring legal commitments. All signs point to an urgent need for conservation in order for the CAWCD to adequately supply its users with water in the future. Some talk as though there were a conflict between conservation and the utility function of the CAP, but without conservation, the CAP cannot fulfill its mission adequately in the future. What the public is able to observe of the largely opaque ongoing talks frames the issue of water shortage as though it were a temporary condition, but long-term trends predict otherwise. Conservation must be top priority. I have been coordinating water quality, depth to groundwater and flow monitoring on Arizona's rivers for four years, in addition to legislative and policy analysis related to all aspects of water management in Arizona. Prior to that, my ten-year career in wildlife management involved interaction with land and water policy, as these are the elements that make up wildlife habitat. I am a lifelong Arizonan, a scientist and an avid conservationist. My background as a public servant, an Arizona Game and Fish Commissioner and the coordinator of a monitoring program studying flow, depth to groundwater and water quality on Arizona's rivers allows me to think long-term to plan wisely and protect Arizona's water security for future generations. I will put conservation and Arizona's long-term water security first. The biggest issue is the looming water shortage, with the potential for cuts in 2020 and beyond. The Drought Contingency Plan (DCP) currently being negotiated is intended to keep water in Lake Mead to stave off cuts. The problem is that the process seeks to address a problem that is different from the problem we have; i.e. a temporary one. Proposed strategies represent short-term solutions, and we need to acknowledge that insufficient water supply is a product of decades of development throughout the West that didn’t adequately consider water, compounded by warming temperatures and drought, which climate models predict will continue and worsen in the decades to come. If the DCP is not paired with a wiser approach to growth that includes a realistic view of water availability, years from now we could find ourselves in the same predicament but with a larger population. I will think 100 years out as a planner, rather than five years out. At this point, there is an ongoing negotiation, and what the plan will look like is an open question. I support the concept of a Drought Contingency Plan. The plan should include long-term strategies to conserve water and should acknowledge and make provisions for warming temperatures and long-term drought. Short-term, shell game solutions focused on moving water around to keep Mead levels high enough to avoid cuts with the notion that it can be withdrawn again later won't get us far. The economic implications of cuts in 2020 are significant, and I support establishing a strategy to prevent that situation. But DCP discussions seem to be entirely focused on protecting the status quo, when we have to change and take steps to prevent ourselves from facing an even more dire predicament in the future by recognizing that continual population growth and urban development into eternity is not a sustainable economic model and will not be supported by available water in this desert state. This is as much of an issue in the DCP process as it will be post-shortage. This is the wall that negotiations have repeatedly hit. Those at the table are wrestling with the political difficulty of engaging in a negotiation in which they don't want anyone to lose anything. Strategies being discussed include financially compensating lower priority users and pumping and/or transporting water to offset loses. These strategies are on the table to try to get the DCP passed, but they would likely evaporate if shortages were declared. The political will may exist to find funds to pay them for their losses at this stage. This is not a long-term solution, but a grasp at staving off cuts in 2020. I don’t support moving water from other parts of the state or subsidizing groundwater pumping, though paying to fallow is an option. Whatever happens with the lower priority users now, their current predicament will be other users’ predicament in the future if we don’t embrace wiser water use. I do not. Transporting water from Mohave County to enable continued development of the Phoenix and Tucson areas is neither an ecologically beneficial nor a sustainable practice. As with the DCP, short-term solutions have the potential to dig us deeper in a hole. What happens when we have bled Mohave County of all of the water we can get out of them? We will face shortages again, with a larger population to serve. If our desert cities do not have enough water to continue developing at the rate we have been, we should stop developing at the rate we have been. Also, Mohave County loses and an ugly precedent is set when New York hedge funds are able to sell their water out from under them. This is a bigger issue than just the CAWCD and Mohave County, and we should seek legislative and regulatory fixes to prevent out-of-state investors from buying up land in Arizona and selling our water to the highest bidder. I support open lines of communication between all parties. Both the CAWCD and the Governor's office must be transparent and enter into discussions in good faith. The public benefits from having open access to deliberations and the opportunity to participate, and the CAWCD and the Governor's Office benefit from such openness too. I will always approach decision-making from a firm foundation in my commitment to conservation and long-range thinking, and will approach all colleagues and the public with honesty, openness and a willingness to work together. Arizona is my adopted home; I started a successful business, served my community and raised my family here in this state. I care deeply about the long-term health of our state and right now, I believe the most important factor in Arizona’s future is the management of our water resources. Without responsible management of this finite resource, the growth of our economy and development of our communities are at serious risk. It will take leadership that isn’t tied to a special interest or stakeholder in water rights, independent-thinkers who are committed to finding solutions that put the state’s interests first. I’m running for the Board because that’s exactly what I’ve done in the public and private sectors for the past four decades. I have a track record of bringing people together and finding solutions, and I believe I would be able to lead on CAWCD Board as an independent voice ready to find an answer for our long-term water issues. Having access to water and the management of that resource is important for any business. While running China Mist Tea, understanding water policy was not only important for our product but also in understanding economic trends and how it affected the market. As Town Councilman in Paradise Valley, I had extensive experience when it came to setting water policy for our residents and understanding the impact it had on our community. I believe there is great value in having someone on the CAWCD Board who understands water from both the private and public sectors without having an allegiance to one of the stakeholders competing for water rights in our state. When it comes to having a track record of finding solutions to complex problems, I believe my resume stands apart from the other candidates. Building a business from the ground up takes an approach focused on results and solutions, not squabbling over little issues that don’t affect long-term growth. Our team was solely focused on doing what it takes to grow our business, and I would take that same type of focus to the Board when it comes to generating solutions. On the Council, I had experience working with a diverse group of both councilmembers and residents who had competing visions and interests when it came to issues in our community. Ultimately, my record of finding solutions after bringing broad coalitions together has prepared me to serve this Board. More so than any specific water issue, we need actual leadership that is willing to work toward solutions. We know what we need to address a drought or shortage; we know what needs to happen to conserve our water resources. What we don’t know yet, however, is how we are going to build a coalition of stakeholders to get to those solutions. Finding independent leadership that brings people together is the first and most important step to finding the solutions that will impact our water resources. Yes. Arizona needs to take part in this Drought Contingency Plan, or DCP, to make sure that our state retains some access to water in the case of a drought. If we fail to get our act together and sign on, we’ll be in grave danger of losing access to water and falling behind California, which has a priority over us when it comes to water rights. We can’t control whether or not a drought continues to affect our state; we can control whether or not we have a legitimate plan to address a continued water shortfall and the declaration of a shortage. Our leaders need to do a better job of listening the concerns of all stakeholders and then finding ways to address their issues best as possible. It takes leadership that doesn’t have an allegiance to a certain industry or ideology; we need to be as focused as possible on making sure our state has the water we need for long-term economic growth. Yes, this means we need water to continue building and growing communities, but it also means protecting our agricultural community. While our state can lead, ultimately this will take regional and national leadership to provide solutions as well. What it takes is having honest leaders that everyone can trust and feel like they will give them a fair listening. I believe I am unique in my ability to serve on the Board as an independent, honest broker. No. CAWCD should be focused on managing our water resources, not getting into the real estate business. The biggest reason I am running for CAWCD Board is my belief that we must address this exact issue. For too long now, different stakeholders have been refusing to work together and put the interests of Arizonans first. Instead of putting aside differences, we have seen our state act too slowly when it comes to creating sound water policy that balances the rights of everyone. I have decades of experience in both the private and public sectors when it comes to bringing people to the table and finding a solution that works. On the Paradise Valley Town Council, I found ways to balance the interests of our residents while finding ways to grow our economy within the unique nature of our community. As a businessman, it too creative approaches to grow our business that included working with a diverse array of vendors with competing interests. More than having a specific agenda, I believe it will be important to have someone on the Board that can listen and then build a productive coalition. Water is something we take for granted in our urban areas, but its importance in rural areas is massive. Not only does it fuel the agricultural community, but access to water is critical for rural economic development as well. I would view the actions of CAWCD in terms of not just how it affects our customers, but in how it impacts the well-being of our entire state. It’s true, water is the lifeblood of our state. Having a reliable water supply effects the economic health of our State and thus the quality of life of its citizens. As someone intimately involved in a water intensive industry I have had to face first-hand the difficulties of being critically short of water and possibly closing my business. I understand the economic importance and the issues facing our State as we struggle to meet the needs of our citizens with the impending shortage on the river. I believe I have the experience, knowledge, education and understanding of water issues to be an effective CAWCD board member. I have spent the past 8 years educating myself on the State’s water issues. This includes attending monthly Board and Committee meetings at CAWCD, attending meetings at the Arizona Department of Water Resources as well as State Legislature Committee meetings. I have also educated myself by attending various water conferences including the Colorado River Water Users Association in Las Vegas to further my understanding of the water issues of the state. Being part of the golf management industry I have had the opportunity to hold yearly water summits to promote best practices in water conservation. Lastly, I have negotiated water contracts for my organization. The looming call of a shortage on the river by the Department of Interior. We must work hand-in-hand with all of the Basin States to pass an effective Drought Contingency Plan program. In addition, Arizona needs to pass an intrastate DCP program that is in the best interest of the entire state, no one entity, for the best outcome for years to come. Without a dramatic change in the hydrology of the Colorado River, Arizona is either facing a voluntary curtailment program like DCP, or mandatory reductions in supply enforced by the Secretary of the Interior. And, we must be mindful that doing nothing may result in Lake Mead dropping to dangerous levels, where power reduction at Hoover Dam is greatly diminished, and CAP, and all 4th Priority Users may face drastic reductions. A well planned DCP, although creating self-imposed shortages, allows CAP to plan and coordinate in advance, while preserving the beauty and recreational aspects of Lake Mead at least tolerable levels. Viewed in this light, DCP, in whatever form it may eventually take, is a must. Voluntary reductions in CAP deliveries will certainly affect some users more than others, and may even affect some users more than a shortage imposed by Secretary of Interior in some years. Perhaps by re-directing some CAP water currently used for underground water storage to those affected users, the harm may be mitigated to some degree. But, like in any prior appropriation water system, when shortages occur, the junior most users are most affected. In the long run, the impact of shortage cannot be avoided entirely. The best way we can do is to try to provide a gradual transition to lesser supplies. Permanent transfer of water from rural communities deprives those communities of long term economic potential. On the other hand, there is considerable water currently being used in Arizona that could be better used to meet near term needs like CAGRD and advance replenishment and DCP. In a market where there are willing sellers, it would seem beneficial to allow the market to control the current best use of water, with adequate and I do mean adequate, protections that would preserve that water for future beneficial use in the rural areas when it is truly need. Therefore I support the voluntary transfer of water between two willing parties under certain conditions. I think the current DCP Steering Committee that was put together by the Director of ADWR and the General Manager of CAP collaboratively, to address several issues has been very productive. The committee has brought together representatives from all groups to discuss the issues. Several subcommittees have also been a part of the process. This step by step process co-chaired by ADWR and CAP has increased communications amongst both organizations and participants. This has been an effective first step. Collaboration and communication is important to have between the different agencies. I believe one of the more overlooked water issues facing Arizona is finding an alternative water sources. The one possible alternative source is looking into desalinization treatment facilities. The biggest challenges is the cost of building the desalinization plants. I have attended Arizona Department of Water Resources meeting covering these ideas .It is important that we explore all options available and look for innovative solutions. I was born in Arizona and am concerned about the future of water availability in our state. I feel strongly that anyone can and should run for office to try to make conditions better for everyone. I chose this office because I believe it’s a critical time to make important decisions about the future of water resources in our state. I am a homeowner and have followed news about the Central Arizona Project since its planning phase. I have a diverse background and, as a homeowner with nowhere else to go, I have a vested interest in making sure water resources in Arizona are maintained responsibly and are sustainable. The continued drought will be an ongoing problem. Although there’s no need for current residents to be concerned for water shortages in the near future as planning for future shortages has been well managed, certain issues will have to be addressed soon. We need to balance the needs of major state water interests so no one is unduly burdened, reevaluate interests between the basin states and possibly even address the legal basis of water rights. In general I support it at this time, but wish to see the final plan before throwing full support or opposition. Arizona being such a large contributor makes me uncomfortable; I would like to see more collaboration with other lower basin states. Agriculture, as an important economic generator in Arizona must be protected as far as is possible. Supplemental water basins and banking are just a start of a multi-faceted approach that is needed to avoid the worst impact to this industry. The project owning property in non-project counties could be very problematic. Water speculation should not be encouraged as it is just another attempt to buy our way out of flawed legislation. I hope to encourage residents and business owners to engage their representatives in government to ensure sustainable water resources in Arizona. Not being part of either major party it is my hope that I can help find solutions acceptable to all. Unchecked growth and rising temperatures. While CAP has no say over these issues, we can advocate for more responsible growth, preservation of desert groundcover and mitigation of the effects of large urban areas being covered with heat-absorbing materials.